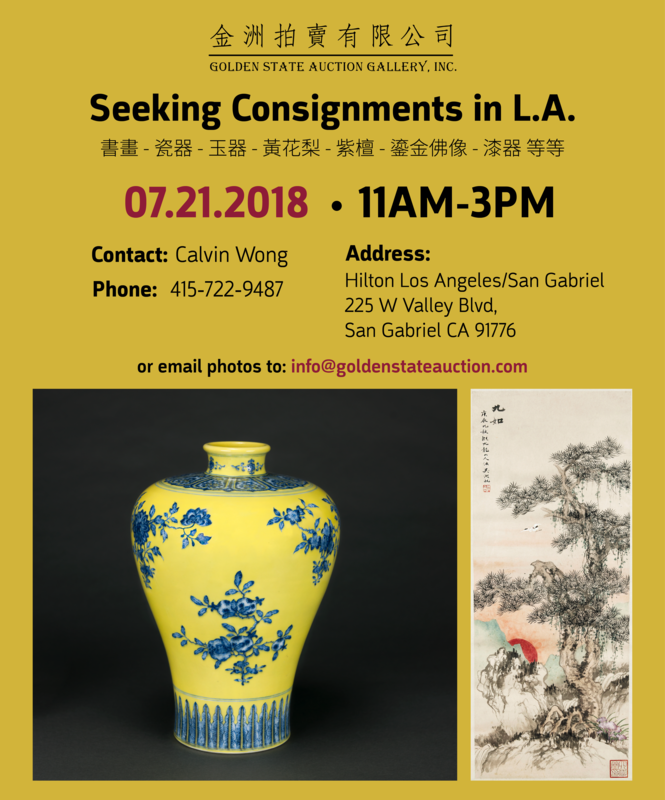 Golden State Auction will be seeking consignments in Los Angeles on Saturday, July 21st from 11-3PM at the Hilton San Gabriel Hotel. We specialize in fine asian arts and offer complimentary appraisals. Please contact Calvin Wong at (415) 722-9487. Hope to see everyone there! Copyright © 2015. Golden State Auction Gallery. All Rights Reserved.